There is nothing like the interaction with fellow students in a martial arts and selfdefense class. However, as a wise Karate instructor told me, “If student only trains in class, that student will never progress beyond the basic skills.” I have found that most serious martial artists, self-defense students and those training in combatives spend more time training on their own than in a class setting. This is because most martial artists and self-defense students only attend regular classes from one to three times a week. 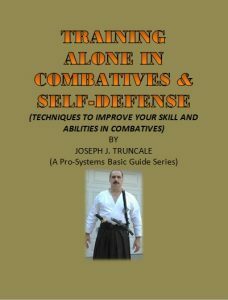 It is hoped this manual will serve as a guideline to help you become more proficient in training alone and combatives and self-defense.